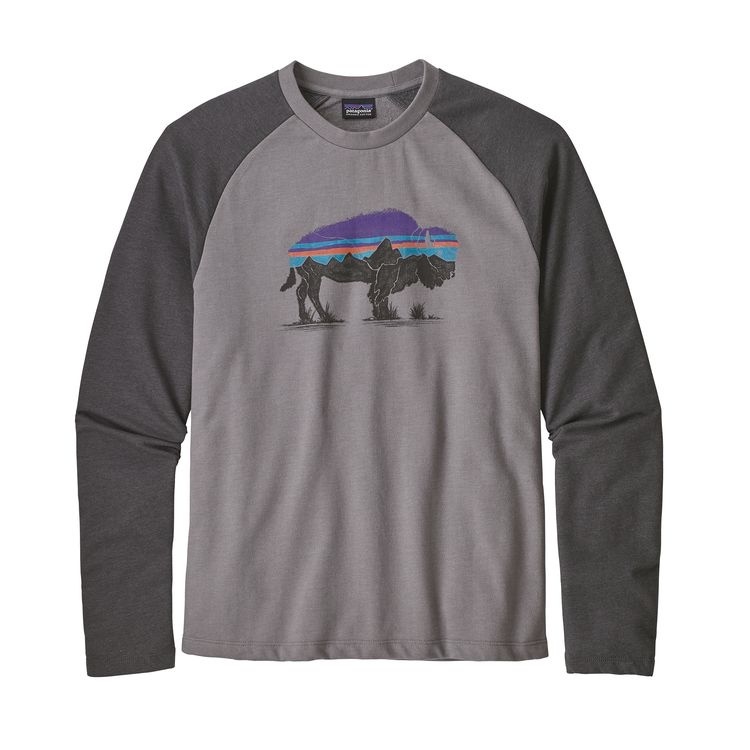 Made from a soft, lightweight organic cotton/polyester blend fabric, this slim-fit crewneck sweatshirt offers the warmth of a sweatshirt with the simple styling of a T-shirt. Fair Trade Certified™ sewn. 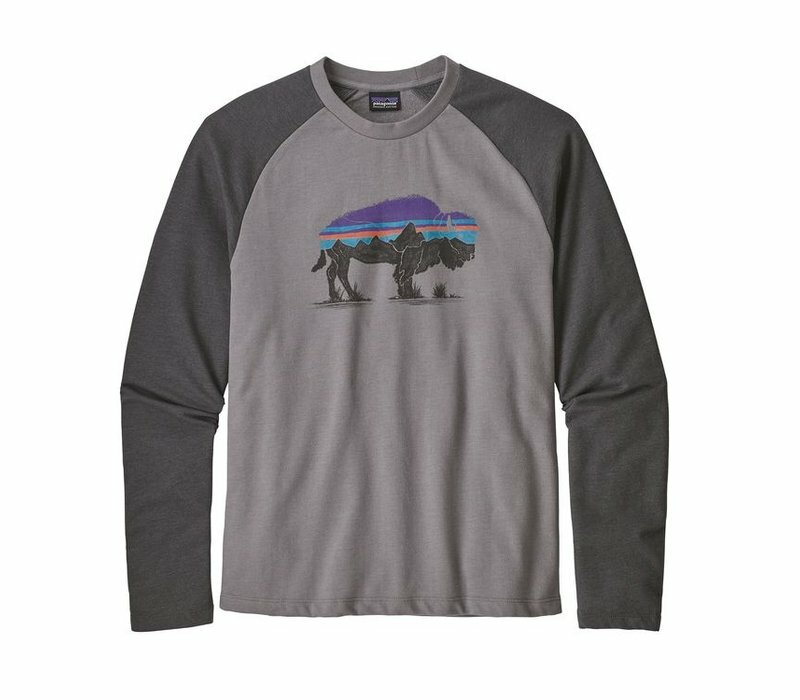 The Fitz Roy Bison Lightweight Crew Sweatshirt is made of a soft 60/40 organic cotton/polyester fleece blend that’s durable and comfy. Original graphic art is screen-printed with PVC- and phthalate-free inks. Casual, slim-fit crewneck sweatshirt style with raglan sleeves and open cuffs and hem provide the warmth of a sweatshirt in the clean look and styling of a long-sleeved T-shirt. Fair Trade Certified™ sewn.